Get ready for a unique set of questions that your guests will be asking. They’ll want to know about the maintenance requirements for solar panels and how to scrape off the snow if you live in a heavy winter climate. Cautious buyers will want to know if the panel installation voids any warranties or lessens the lifespan of the roof. Everyone will want to know how much solar technology can save on energy bills, so make sure to have past utility bills handy to show at the open house. Don’t be thrown by the negative comments, especially if you live in a community where solar technology and the concept of green homes isn’t firmly established. These are just signs that you are in the right place at the right time, so think of these comments as fortuitous conversation starters. Once the property is under contract, you’ll need to provide the buyer with any warranty or lease transfer and buy-out options on the solar panels, but you don’t have to withhold those details until the crack of a contract deadline. Providing these documents beforehand, either as attachments on the MLS listing or available in a thoughtfully assembled sales packet at the showing, can go a long way in establishing trust and credibility with buyers and other agents. Take an extra minute to read through the lease and warranty as well, that way you’ll be able to confidently answer any questions about maintenance services that might be included and the expected life-span of the product. You may even want to contact the company who leased or originally sold the solar panels. They will likely have professionally produced marketing materials that cover the questions your guests might have. And if they don’t, companies like Savenia Labs offer solar system estimates that can help determine the value of the solar system. Savenia Labs also provides marketing materials with all this customized information for your potential buyers. That way you can focus more on selling the house, not someone else’s business. Everyone loves to see a dramatic decrease in energy costs. Who wouldn’t be impressed to see how a 2600 square foot house with a pool goes from $350 a month in energy bills to $160 a month with a solar panel lease? But since there are so many variables involved, such as climate and energy market fluctuations, making any kind of claim about cost savings could open you up to a lawsuit for misrepresentation. Check with your employing broker about potential liabilities and how best to avoid them. Try to be helpful in answering questions, but always have good resources to point to. Remember you are not a solar expert and don’t try to be! 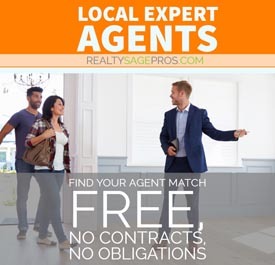 And just as with any open house, you’ll want to review the market and make sure you know what comparable properties are currently available, which ones have sold, and for how much. Solar panels are a formidable distinguishing characteristic. 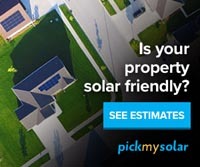 In addition to using the Savenia Solar Rating valuation, check out VivaGreenHomes.com a leader in eco real estate listings. VivaGreenHomes.com shows active solar listings across the country and other comparable eco and energy efficient home listings. And since listings are free, be sure to add your solar listing to the site and lure those prospective and eco-conscious buyers. For a successful open house, take the extra time to review your market for any updates, and prepare some of the materials we’ve mentioned, before you invite guests in and tempt them with those freshly baked cookies.